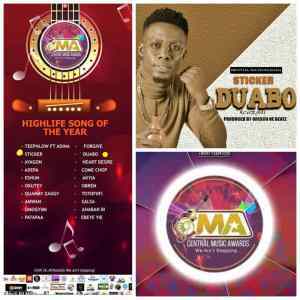 Highlife/Hiplife/Afro Pop sensation Sticker Songz has received an award at the just ended central music awards with his popular song ‘Duabo’. 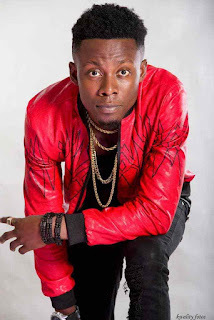 The artiste who won the award for the best highlife song of the year at the event also thrilled patrons at the event with some of his highlife songs. Sticker Songz beats the likes of Teephlow,Adepa,Patapaa,Quarmy Zaggy,Eshun,Ayagon and many others to win the highlife song of the year. His song ‘Duabo” was a smash hit in the country.Ghanaians could do anything but dance to it when it was played. “Duabo” got both the old and the young on their feet and its easy to sing along chorus made it more popular.We are not surprise the song won the highlife song of the year.